There is that one special day for every woman when you want and expect everything to be perfect: your wedding day! Perfection however takes a lot of individual and team effort but it is achievable if you plan ahead, start early and know what you want. Here are a few useful tips to help you get through the wedding preparations with little stress and great results. There is nothing more important than being healthy and feeling good in your own skin, especially on such an important day. Take all the preventative steps you can: eat a clean diet consisting of veggies, fruits, fish, seeds and nuts, as these will trim your waist, clean your body from toxins and give you an energy boost. Cut out all junk food, sugars, fatty food and artificial foods to help your body feel light and to rejuvenate your skin. Quit smoking, drinking alcohol and get in the habit of resting well and getting enough sleep. Get in shape if possible, exercise, go for long brisk walks, cycle, jog, get that life force energy flowing through you. Even if you are not a big fan of paying professionals for getting beauty treatments done, if there ever is a time to do it, it is for your wedding. However, you have to schedule your treatments and start as early as a few weeks prior to the wedding day to get the best results. When it comes to treatments that might cause allergic reactions, like permanent makeup, laser hair removal or waxing, teeth whitening or skin rejuvenation treatments, you should do them early on. That way, allergic reactions that may arise will be history well before your big day. Hire a good hair stylist who has experience with wedding hairdos. Get a pedicure and a manicure, shape your eyebrows and get your makeup done by a professional. Be sure to ask them for tips on what to do in case you shed a few tears. Have a good perfume and good quality accessories. This is your wedding and you should arrange it to be to your taste. Do what you always wanted to do. Find the perfect location, think of the scenery, the season, nature, design and decoration. Adjust all the esthetic arrangements to reflect your personality and innermost wishes. What kind of wedding photos would you like to have and look at for the rest of your life? Practice for photo shoots, most people are not comfortable in front of the camera and you want to look natural. 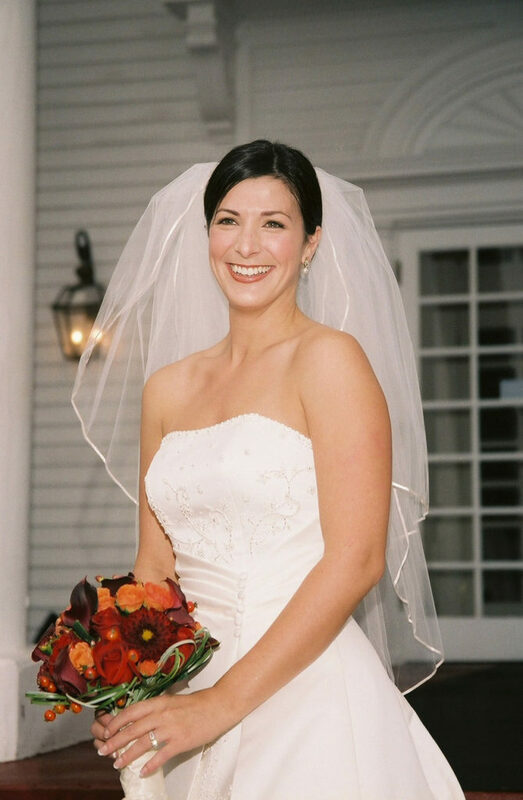 Hire experienced professionals who understand what you want, especially when it comes to wedding videography. These are once in a lifetime moments and you want to have the best quality videos and photos. After all, it is what you will show to your grandchildren one day. Most importantly, even though it is fast paced, high stress time, find your inner calm and joy. After all, it is about love and happiness, and you should enjoy every bit of it. So let your shine out and smile a mile wide, be the luckiest girl in the world! There’s so much to do, so many aspects to consider and tend to prior to the wedding, and it’s no wonder brides sometimes put themselves on a standby. We wouldn’t want them to forget about some great accessories that can help them shine on their big day. That’s why we have compiled a list of the not-so-common items brides-to-be may forget in all that crazy rush. The use of hair jewellery has been on the rise in the last few seasons, and we’re simply thrilled by its simplicity and functionality. The younger brides who are not keen on doing some elaborate, heavy updo, or would rather skip any hairstyle manoeuver could benefit from a single carefully chosen piece or a set of tiny hair adornments. 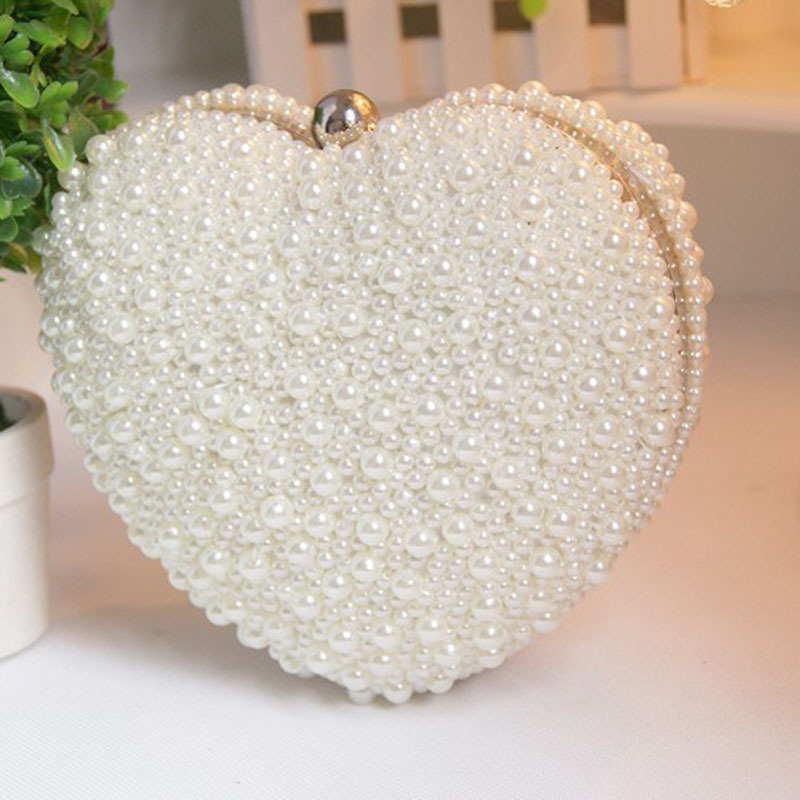 A friend of a friend makes these pearl-encrusted accessories that work perfectly for the gentle, romantic souls, and I’m definitely reserving one. In case you plan to go with a rather simple and inconspicuous look, consider incorporating a signature element. It’s recommendable to add something personal that makes a statement about who you are. If the standard bridal paraphernalia tires you, this is a perfect way to express yourself in the modest, unobtrusive manner. It can be anything from a dog-shaped brooch to show your love for your pooch to a spiked choker for the rock’n’roll brides. Femme fatale or Cinderella shoes? Whether you prefer ballet flats or killer stilettos, there’s always a means to showcase your inner persona. For the vamp women who like to shock and amaze, we suggest going for a shoes in dark red and black tints, or perhaps even punk boots, for the grunge loving ladies. For the girly girls like myself, a nice pair of bridal shoes is decidedly an ideal footwear addition. Clean lines and satin with some gems on the side are a sure-fire choice for the wedding. Personally, I’m an umbrella super fan and I have a few quality pieces for all occasions. It’s a very unusual, uncommonly seen detail that will separate you from the crowd of uniform brides and introduce a whiff of the olden days. This particularly comes in handy for the events in the part of the year when the weather is volatile and the forecast is inconclusive. Don’t risk getting your dress or hair wet and pick up a beautiful, lacy umbrella that will protect you from the sun and rain alike. Being on your feet all day, you may need a bandage, wet wipes and a mirror (among other things) to be at your side, and a small, handy purse can take care of it. Buzzing around the venue and getting slightly sweaty can ruin your makeup, so it’s recommendable to carry a fix-me-up kit with you. When purchasing for this item, make sure it’s not slipping off or difficult to handle, as it will bring you more frustration then relief in this case. If you’re in love with the old Hollywood style, a classy and mysterious veil could transform you into a movie star for the day. Mysterious, demure, vintage, extravagant, bashful, innocent, these are all the adjectives that describe this evergreen accessory piece. This is the means to make a graceful and elegant entrance with little effort. 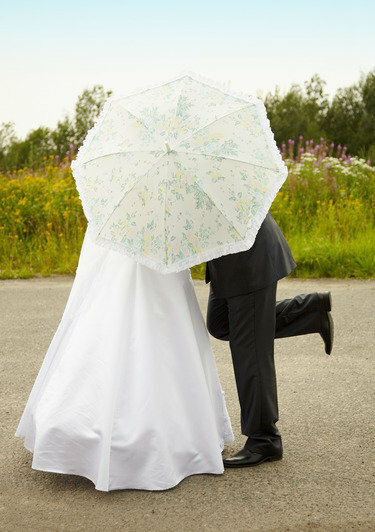 Even in the summer, the stormy weather can bring a cold breeze, and the last thing you need is to get ill on your wedding day. This means a potential two weeks of sneezing on your honeymoon. Carry a classic cut, Channel-inspired jacket to keep you warm and make you look sophisticated. We understand how the preparations for the special day can be tough on the ladies. That’s why we have gathered some special suggestions to help the brides accessorise with ease. Sapphires make vivacious engagement rings. Most popular of all precious colored gemstones, sapphires are fashionable and unique in the way they personalize a bride’s wedding ring. Sapphire engagement rings are available for all tastes and budgets and no matter what type of setting or cut for the center diamond that you desire. Although sapphires are extremely bold in contrast to diamonds, when combined they produce a powerful effect. They make timeless pieces of jewelry, the styles you might see on royalty or celebrities but at reasonable prices. Ziva Jewels produces high-quality sapphire accent engagement rings which are very different than ones you might find at a local jewelry store. Use of exceptional hand selected gemstones, guarantee you get a top-notch quality product every time. For distinctive designs, superb quality craftsmanship and exceptional value consider sapphire bridal rings made by Ziva Jewels. Each style makes a stunning impact. Whether it’s a three- stone, halo, or a diamond with sapphire side stones ring. Once again, we come upon Wedding Wednesday, that lovely mid-week day where I try to impart some of my sagey wedding advice. 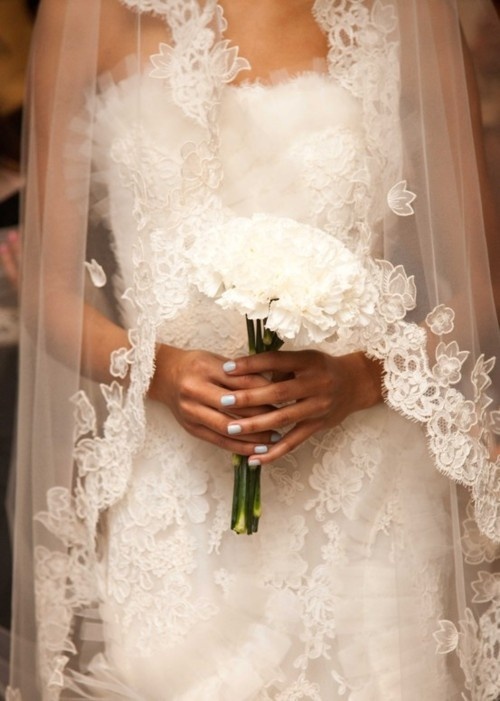 Today, let’s quickly go over why you should consider having a vintage wedding! When it comes to our ideal wedding, most of us already have our dream event in mind. Whether it will be a traditional “princess” wedding or a more intimate occasion with a few close friends, we want it to be perfect. But if you’re still struggling to make the choice or you want to go for something different and non-traditional, here’s an idea: why don’t you try having a vintage wedding? Vintage weddings have a special aura of uniqueness and quirky charm around them. It allows you to get as creative and artistic, as you would like, and it usually costs less than a traditional wedding. Take the engagement ring, for instance – antique engagement rings tend to be have unique designs and extraordinary craftsmanship, usually are cheaper and are potential candidates for an heirloom. Vintage weddings allow for an extra romanticism to the event. It’s important to know that in this case in particular, the details are far more than simply additional features. The details of your wedding – the dress, the ring, the decorations – will make the design. The great thing about having a vintage wedding is that you don’t need to spend a fortune on the décor. Choose a venue that complements the look that you want to achieve – turn the venue itself in part of the decorations. An additional perk is that vintage venues and locations usually look magnificent in photos. The soft, rustic colors and the natural beauty of the location can be enhanced by special lighting and your photographer’s skills. Your wedding is the most important day in your life as it not only changes your sir name but also changes a lot about you. It is not only important but also the most special day of your life so you want to capture those memorable moments in a beautiful album forever. However, choosing the appropriate pictures for your wedding album is really a tough job. You can’t decide which pictures to add and which ones to leave out as every picture has its own significance in your heart but have provided for you a number of tips that can help you big time in making a right decision. Your wedding photographer is an experienced individual with great skills and you need to put some trust in him or her so that they can reflect their expertise in your awesomely created photo album. Photographers might even tell you which ones to put on the walls. If you would like to save money and buy direct from the manufacturer we recommend www.WeddingAlbumStudio.com. The album is created to help you relive those lovely moments again and again so you need to add those pictures that tell the story of your big day showing how things happened to bring you two officially together. The pictures that envisage natural smiles, natural emotions and instant moments are the best depiction of the times you experienced that day. The look of shyness on the bride’s face and the gleam in her eyes while saying “I do,” are some of the most beautiful expressions that your album needs to incorporate. You have five amazing shots while you are entering the wedding hall but they will take a lot of space on your album so choose the best one and get the soft copy of the rest. You should avoid any kind of repetition as it is going to make the album extremely boring. The ultimate goal of the album is to tell the story of the day in one safe place which you can watch yourself or show them to your children or grandchildren. You need to choose the best images for the album – but you often can’t include every image or every guest. 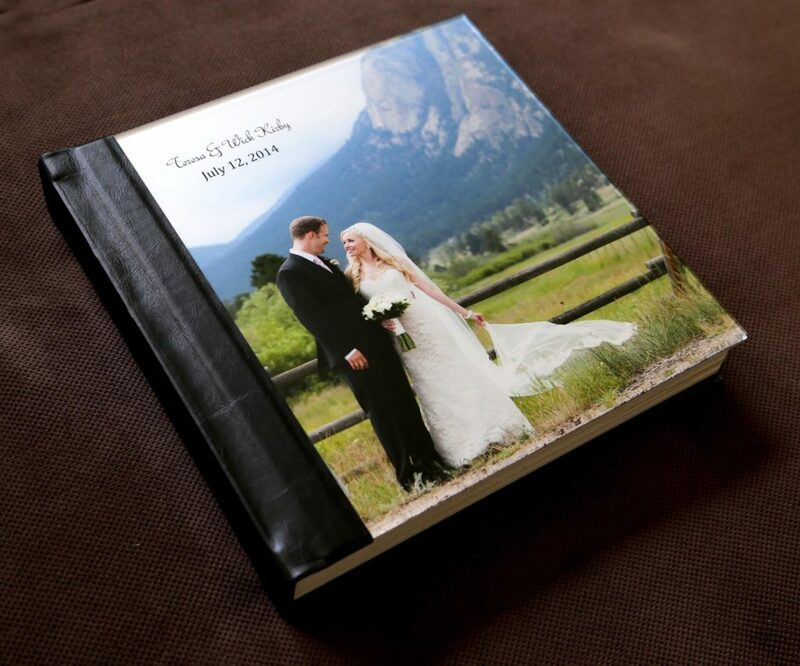 Flush mount albums can hold between 50 and 175 images depending on the size and the number of pages in the album. As background plays an important role in making a picture look perfect so you definitely should not ignore how the background of a picture looks like. So you need to consider the backgrounds as well so that your album looks exemplary. Guests are also very important part of the wedding as they make your day more special so you definitely need to add their pictures to your album though you don’t need to stuff the album with their pictures so try choosing pictures in groups where they are with you so the album looks flawless. You probably won’t be able to add every guest to the album because the album design will likely be too crowded. Thus, making a perfect album won’t be as difficult now as it was before reading this article. Follow these simple tips and we are sure you will be able to create an amazingly memorable album which is both cute as well as lovely just the way your married life is. If you want to make super easy, just contact the folks at www.WeddingAlbumStudio.com. They will do all the hard work while you remain in complete control. With the end of the winter season finally on the horizon, you know wedding season is just around the corner. There will, without a doubt, be a flurry of engagements being fulfilled this spring, summer and fall. And while many future husbands fretted over choosing the right engagement ring, probably mulling over it for months, choosing the right wedding band might be a simple afterthought. But consider this; that wedding band will be a piece of jewelry that will be worn a lifetime, so it does need to be perfect indeed. So we urge you to put as much effort into discovering the perfect gemstone wedding ring or band as you did shopping the engagement ring. With the sheer volume of wedding rings and bands out there, shopping the right one might seem somewhat overwhelming. You have traditional choices, like our Cameo Band, or you can be more contemporary and choose something like our Radiant Band. Each perfect in their own special ways. While it is nice to have a wedding band that complements the engagement ring, don’t lose any sleep if they are not perfectly matched. You must realize they are two separate rings that represent two different life events, so it is fine if you can see the distinction. It is also important to consider how the wedding band will sit with the engagement ring. We recommend you discover a wedding band that is similar in width to the engagement ring so that though they are different, one does not dominate the finger. These are just a few thoughts to take into consideration when choosing the perfect wedding band. Pay us a visit again and we will offer even more tips on choosing the right wedding band. Please visit www.azeera.com to find the perfect wedding rings and fully customize them to make them yours. A party is a party, irrespective of whether the invitation for it is made of paper or is an online one. Wouldn’t you agree? Yet, traditionalists balk at the thought of sending out an invitation over email. Once you get used to the fact that online invitations can be as effective as printed ones, you will also realize that there are several benefits of choosing them over paper ones. In today’s economic environment, everyone is looking at cutting costs, and using paperless invitations is a good option for doing that. If you compare the expenses of procuring, printing and delivering paper cards, online invitations win hands down in terms of making a saving. Every time you opt for online invitations, you won’t feel guilty about the number of trees that went into making the paper for the cards. With eco-friendliness gaining momentum worldwide, paperless invitations are a good way to increase your green quotient. Besides cutting down on paper consumption, online invitations also eliminate the need for using transport to deliver the cards. The advantage that paper invitations have of unique, beautifully designed, customized cards, now extends to online invitations as well. Many sites have a range of designs that are specifically created and optimized for email. In addition, these can be personalized to suit themes or occasions to make them special. They also look more professional than hand written paper invitations, especially when you are using them for an office party or any other formal occasion. Quite often, you get a paper invitation printed, only to face the nightmare of having to order a reprint to correct a misspelt word or alter an unforeseen change in the date or time. With email invitations, editing takes just a few minutes. What’s more, you can make the changes on your own computer screen. The best part of using online invitations is that they are quick. In addition to cutting down the time spent in designing, printing and mailing paper cards, email invitations also save on response time. They reach inboxes within minutes of being sent. Similarly, RSVP messages are received almost instantly, making it easier to get a fix on the final number of guests. Like it or not, email invitations are setting a trend in the way parties are organized more efficiently. With paperless invitations gaining popularity, they could soon replace invitation cards altogether and become the new tradition. So you’ve decided to ditch the traditional hometown wedding to run off to some exotic island with your beloved. Times have changed and destination weddings are no longer limited to a sandy beach. Places like Rome and Paris are also very popular destinations. Guests should get at least eight to twelve months notice. This is important because it will give your guests enough time to decide whether or not they can afford to or be able to make proper arrangements to attend. 2. Is the bride and groom required to pay for the travel expenses and hotel accommodation for their guests? According to wedding etiquette it’s not a requirement. I’m pretty confident that most people are aware that they would be responsible for their own expenses. What additional information should be given to guests? Do provide your guests with information about area attractions. I would encourage you to include hotels and restaurants at different price points so your guests have options and this will allow you to not offend any of your guests. Is a wedding planner necessary? I highly recommend hiring one especially one who is knowledgeable about your specific location. This will save you a lot of time as he or she can guide you on things like documentation requirements and may be able to get you some special perks and discounts.